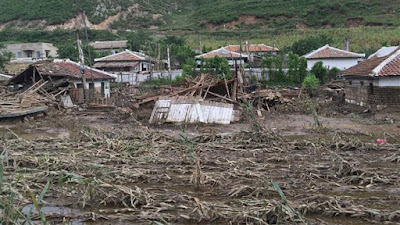 Lord, today we pray for North Korea in the aftermath of terrible flooding. With almost 30,000 homes and 900 public buildings destroyed, this is a devastating blow to the nation. More significant, we grieve the loss of an estimated 138 lives, with hundreds of other people still missing. Lord, help the missing people be found quickly. May people band together to rebuild. May the government show mercy to its people and provide effective assistance. We pray for the tens of thousands of displaced people, that they would find shelter, that their neighbors and loved ones would show generosity toward them. We pray for wise planning for the future, so flash flooding will not be as likely to cause such damage again. We also pray that your love would shine in the midst of sorrow, and that--even dealing with devastation--people would have hope. In Jesus’ name we pray, amen.